Any registration software will capture the most obvious information such as name, date of birth, address and contact information. Few after school program software solutions offer programs the ability to gather all the information during the online process. Eliminate collecting paper forms at the beginning of the season and manually entering registration information by using customizable fields and questions. Eleyo is designed to gather all the required information at the time of registration including authorized pick-ups, child’s allergies, and immunization records. When setting up for the upcoming season’s registration, programs can create custom questions in many different formats to collect all the needed information. Each child care site or location can have their own question template and there’s no limit on the number of question templates created. Here are some examples of questions Eleyo’s users have created. The request for approved pick-ups is a standard question. For children’s safety and legal reasons, some programs have also added the question, “Are there any unauthorized pick-ups for this child?” If the question is answered ‘yes’, the system will display additional questions as demonstrated in the below screenshot. When the registering user answers ‘no’ to the question, the system allows the parent to move on to the next question. No immunization form fits all programs. Depending on where the program is located, state and county may have additional rules around what immunization records are required. 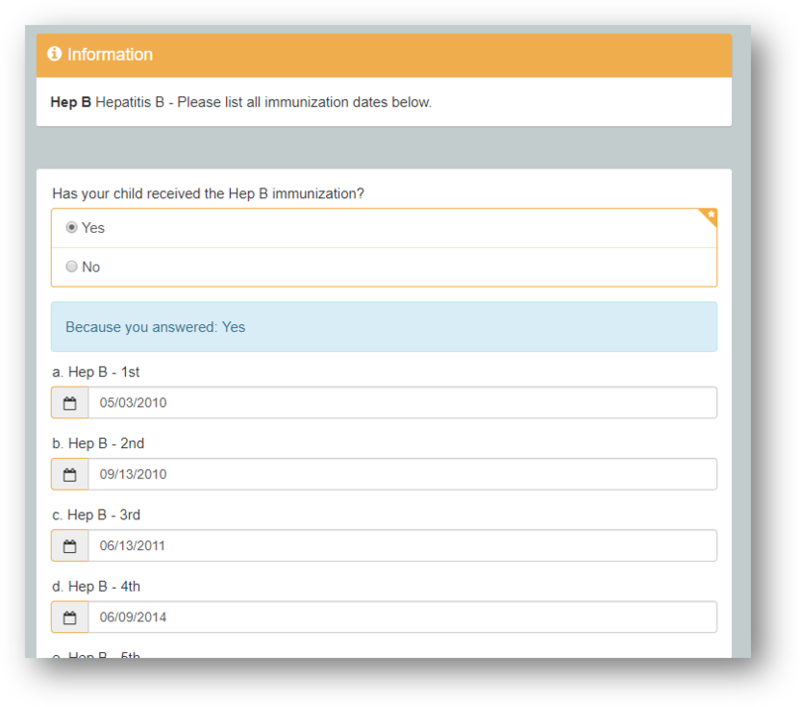 Eleyo allows programs to set up their own immunization forms so that only the immunization records required are recorded. 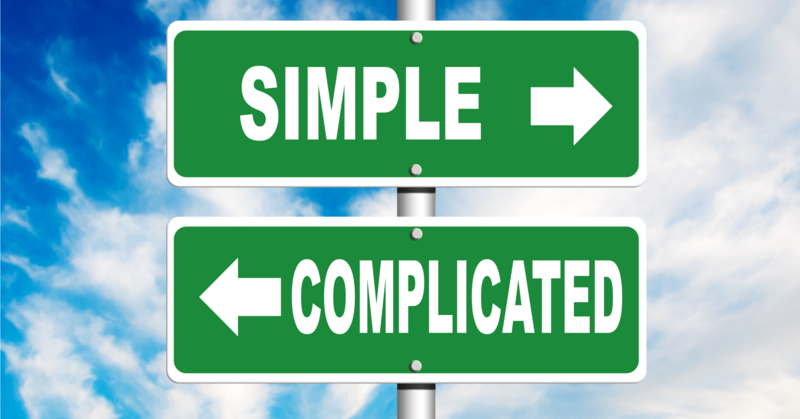 Since programs can design questions to ask anything their program requires, it can be as simple as t-shirt size. Within Eleyo, questions can be set to automatically fill with previous responses or to not autofill. 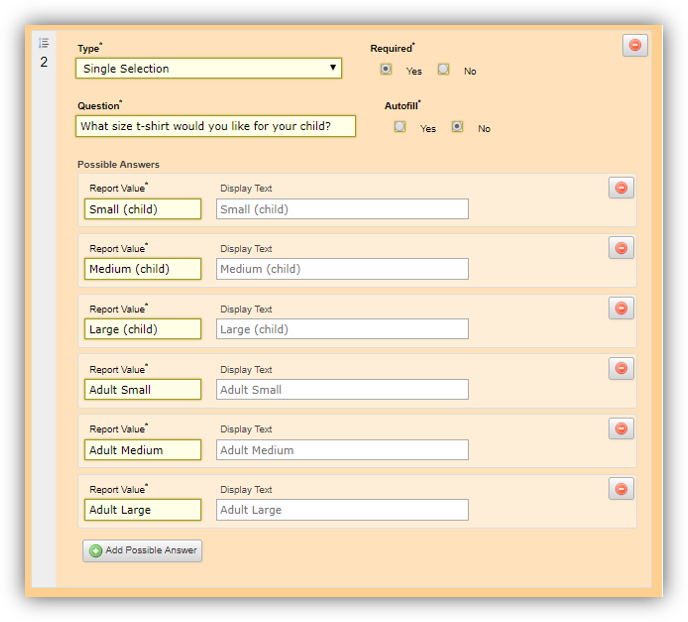 Using the Autofill option allows the system to attempt to populate the participant’s most recent answers that were previously provided for identical questions. Autofill makes filling out child care contracts for multiple children a breeze. Simplify your registration process by asking all the questions and gathering all the needed forms online at the time of registration. Start off the season with everything your program needs to be successful. It will make it easier for your staff and the families they serve.